It’s no secret that Philadelphia is the headquarters for the 4th of July. So much history happened in the city of brotherly love, including the signing of the Declaration of Independence at Independence Hall on July 4, 1776. 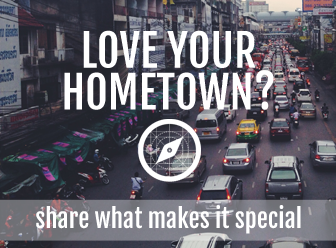 The nation’s birthplace throws a week-long festival worthy of its historic location. This festive week is packed with a myriad of free parties, parades, and cultural events. And, yes, there are fireworks. The free Philly Pops concert at Independence Hall on July 3rd is always a holiday highlight. The orchestra plays American music favorites in front of the most patriotic backdrop possible. Guest soloists Capathia Jenkins and Darius de Haas will join conductor Michael Krajewski and his orchestra for an evening of Philly culture under the stars. Popular events on the actual holiday include a parade with no less than 6,000 participants as well as the Party on the Parkway with food trucks and entertainment for kids of all ages. The Independence Day Parade winds its way through the city, whereas the Party on the Parkway sprawls over the Benjamin Franklin Parkway from 20th Street to Eakins Oval. 4th of July Fireworks over the Philadelphia Museum of Art. The Philly 4th of July Jam follows the Party. Conveniently, the massive concert, known as the “largest free concert in America,” and fantastic fireworks display also take place on Benjamin Franklin Parkway. 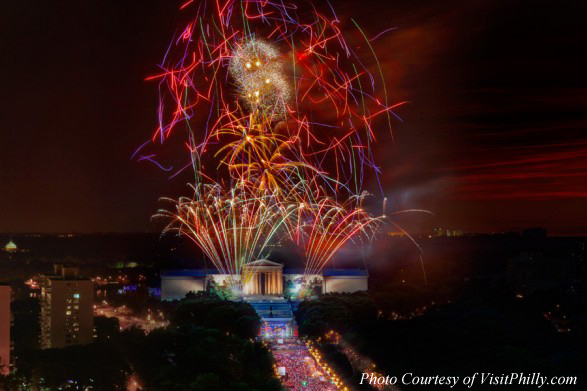 This spectacular fireworks display explodes over the iconic Philadelphia Museum of Art. This year’s jam will feature The Roots, a local favorite, and now a nationally known band thanks to Jimmy Fallon, plus Miguel, Jennifer Nettles, and other surprise guests. With a scope and energy unique to Philadelphia, the concert and fireworks display are not to be missed. Plan ahead to avoid missing out on the fun. Be sure to check out the official website Welcome America for a full schedule and details. Most events, especially those involving fireworks, will be crowded. Arrive early to secure your spot. Bring water and snacks, and be sure to wear comfortable shoes. Since parking is a commodity, consider using Philadelphia’s extensive public transportation network throughout the week. If crowds aren’t your thing, the Philly 4th of July Jam and Grand Finale Fireworks will be broadcast on both local television and over the Internet. A great option is to watch the final festivities at a local bar with a local beer or two. There are so many special events in Philadelphia for the 4th of July holiday. 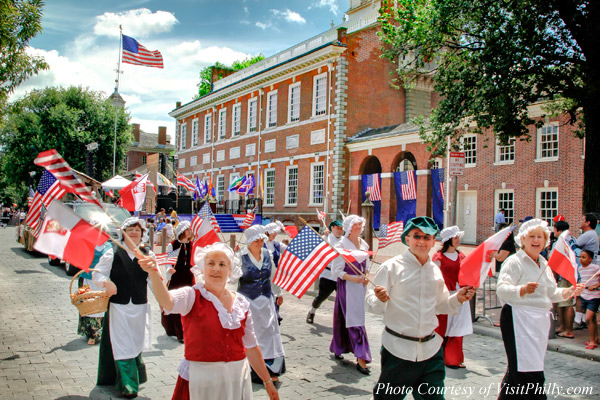 Many of these events are held at historic sites like Independence Hall, the ultimate venue for celebrating the nation’s birthday, and most are free. In a nutshell, Philadelphia is the place to be for celebrating the 4th of July this year and every year. Daryl and Mindi Hirsch live in Philadelphia. 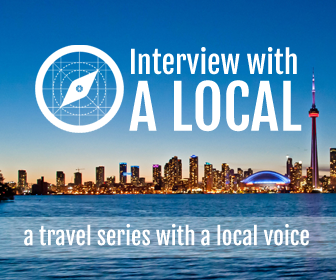 With day jobs to support their food and travel passions, Mindi and Daryl have been photographing and writing about their culinary adventures for the past three years.